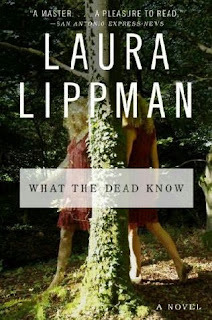 Laura Lippman has quickly become a staple in my household. What the Dead Know is the second novel I've read by her in the past three months and I'm LOVING this author! What the Dead Know is about two young sisters who both disappear from a shopping mall at the same time on the same day in 1975, never to be seen or heard from ever again. In present day, one of the sisters steps forward to tell the story of what happened that day, however mystery surrounds this woman as clues point to her being an imposter. What the Dead Know is an incredibly fun and engaging ride as we try to solve the mystery along with the detectives in the book. I love when I come across a novel I just can't put down! Books like this are few and far between and are gems when you come across one. I found myself reading this book at work, in the car, and every spare minute I had because it is so well written. What the Dead Know is so artfully put together that you really won't be able to figure out the mystery until the very end. If you're a seasoned mystery reader, you'll have your theories on the truth behind the disappearing sisters, but Lippman knows just how to tease. From a mystery standpoint, I enjoy how there are just infinite possibilities surrounding the sisters' disappearance and whereabouts. No matter how much thought I put into solving the crime, I was still proven wrong at the end. I wish I could divulge more into my feelings about the outcome of What the Dead Know , but there's no way I could ever provide spoilers on such an amazing book. In conclusion, don't let What the Dead Know slip by you. It's definitely a must-read! Oh yeah, as an afterthought, I did come across some new vocabulary words Laura Lippman threw in, such as inveigle (to entice, lure, or ensnare by flattery or artful talk or inducements) and effete (lacking in wholesome vigor; degenerate; decadent). Other books I have read by Laura Lippman include the first Tess Monaghan installment called Baltimore Blues (1997) and To the Power of Three (2005). Her latest novel is I'd Know You Anywhere (2010). I've got the rest of Lippman's novels on my wish list. I'm looking forward to reading them! 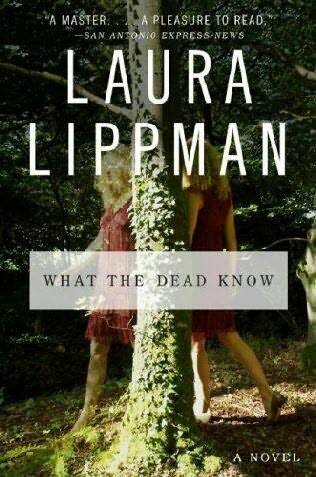 Laura Lippman is one of my favorite authors too. THANKS for the great review. I see you mentioned I'd Know You Anywhere, but have you read it? It is quite good too. I will have to get the other two you mentioned. Keep in touch if you like. No, I haven't read it yet but it's on my wish list. I LOVE Laura Lippman! I've loved everything she's written. Check out my review if you haven't for I'd Know You Anywhere.